Some books are very hard to classify and categorize. This is one such book. Officially, it is a fiction, a novel. In terms of genre, it should be put in the same shelf as Cakes and Ale by Maugham or The Ghost Writer of Philip Roth, both I have read this year. But then, maybe not. The two are totally fictional, in terms of all the characters contained in them, even though they do have a writer as the central character. But then, that is all that has to do with writing. I don’t think we ever consider the writer’s profession as a central point of those novels. Also the characters are out and out fiction. That is where this book is different. It is about the giant of French literary history (and now, of English classical literature)- Gustave Flaubert. The story begins with Braithwaite searching for the Parrot, which Flaubert borrowed while writing “Un Coeur Simple (A Simple Heart)”. However, once he begins dwelling into it, the writing- the process, effort and the art of it begins drawing him into it. The facts become vain, and from then on it levitates, it hovers above the point where fiction, fantasy and facts merge. The writer becomes the muse. We notice this transition when Barne as Braithwaite quotes from the scene of death of poor Fe`licite` from Un Couer Simple. Flaubert writes there, “There was a smile on her lips. The movement of her heart slowed down, beat by beat, each time more distant, like a fountain running dry or an echo disappearing; and as she breathed her final breath she thought she saw, as heavens opened for her, a gigantic parrot hovering above her head.” Gorgeous prose, but Barnes doesn’t stand their clapping, like a schoolboy, his mouth open in awe; nor does he succumb to convert this into a literary analysis. He goes after the writer, and the writing. He touches the exact nib of Flaubert’s exquisite pen and swims through the ink from which such wonderful words would flow. He gets into the process and writes- Imagine the technical difficulty of writing in which a badly-stuffed bird with a ridiculous name ends up standing in for one third of the Trinity, and in which intention is neither satirical, sentimental nor coy. He doesn’t evaluate the plot, nor measure the worthiness of the waving of the words; his discerning fingers run through the silk of those words. At this point, one can visualize, the ghost of the giant of classical literature, Gustave Flaubert, his six-foot-one frame, out on the verandah of that house in Rouen, France, with Julian Barnes, sitting at his feet, his head resting on his knees, as Flaubert writes. He is Flaubert's companion, and we, the readers get a chance to look into the extraordinary talent which took to the “difficulty o of telling such a story from the point of view of an ignorant, old woman without making it derogatory or coy.” This, we know, is also the strength of Madam Bovary, and this is the strength of his writing and a testimony to the sensitivity of a writer's soul. This is a book on writing and Gustave Flaubert is a near-fictional teacher that Julian Barnes creates here, when for instance he writes, that – words came easy to Flaubert; but also saw the underlying inadequacy of the words. Then he goes on to quote Flaubert from Madam Bovary- Language is like a cracked kettle on which we beat out tunes for the bears to dance to, while all the time we long to move the stars to pity. It is a writer here paying homage to another writer. He acknowledges the solitude that the profession of writing, undeniably requires, when he quotes from one of the Flaubert’s letter, “If you participate in life, you don’t see it clearly: you suffer from it too much or enjoy it too much. The artist…is a monstrosity, something outside nature.” Barnes also writes at one point that the writer should walk into life only up to an extent, as someone wades into the sea, only up to the knees. My mind wanders to much popular stories of Ghalib being a drunkard and the truth captured in historical accounts of his life, where it is clearly mentioned that Ghalib, who wrote a lot about wine and drinking was a stickler of schedule and a disciplined drinker of alcohol, as I read - a drunkard can not write a drinking song. Julian Barnes love for Flaubert is hard to hide. He finds quarrel with Flaubert’s British biographer- Enid Starkie, who taught language at Oxford. She criticizes Flaubert, and this infuriates Braithwaite (Barnes, I would say). She finds Flaubert’s account of Emma Bovary’s eyes unreliable. She writes that unlike Balzac, Flaubert doesn’t build up his characters, by objective, external description; in fact, so careless is he of their outward appearance that on one occasion, he Emma brown eyes; on another deep black; and on another blue eyes. Braithwaite is annoyed. He says that it is totally up to the writer if he wants to use the eyes or anything else, in particular, as a prop or a tool to build a character to carry the story forward. He argues his point brilliantly and could hold true for many writers, “In the writer’s moment of private candor, he probably admits the pointlessness of describing the eyes. He slowly imagines the character, molds her into shape, and then- probably the last thing of all- pops a glass eye into the empty sockets. Eyes? Oh, yes, she’d better have eyes, he reflects with a weary courtesy. Not to leave it at that, Barnes also has Braithwaite mention three references from Emma Bovary to prove the falsity of Enid Starkie’s observation. The one I liked best, I quote here, “Her eyes seemed bigger to him, especially when she was waking up and fluttered her lids several times in succession; they were black when she was in shadow and dark blue in full daylight; and they seemed to contain layer upon layer of colors which was thicker in here deep down, and became lighter towards the enamel-like surface.” We know here, not only has Flaubert, found a perfect reader, we as reader, have found the perfect writer. The critic, we know, here has counted the trees and missed the forest. This is a very smooth, quick running, witty book. 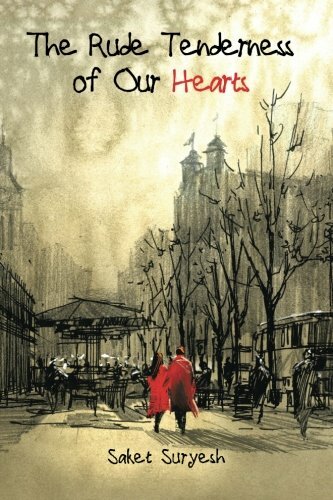 Only part which disappointed me was that of Flaubert’s lover and Poet, Louise Colet. It to me, did not add to the story, and seemed to only be brought in to bring some sort of balance to unabashed affection of the author to Flaubert. That said, this book is a book for the readers, and a book for the writers. We look at the work and writing of Flaubert through the eyes of Julian Barne and learn a thing or two about writing. And no, it is not a boring literary analysis, lesson in creative writing or historical biography of a great writer, as I said earlier. It is about heart and about eyes- the many-colored eyes of Madame Bovary. Wonderful review. Gets to the essence of Barnes' homage to Flaubert without revealing the structural conceit of the book. I'm a Flaubert worshipper (just finished Sentimental Education for the second time)so I perfectly understand Barnes'journey. 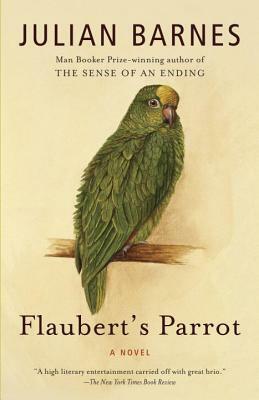 fascinated and irritated Flaubert-rather like the iconic parrot-or three. My thanks! By the way, has anybody reviewed Nabokov's "Pnin"? Thanks for the visit and your comment. I am glad you liked it.